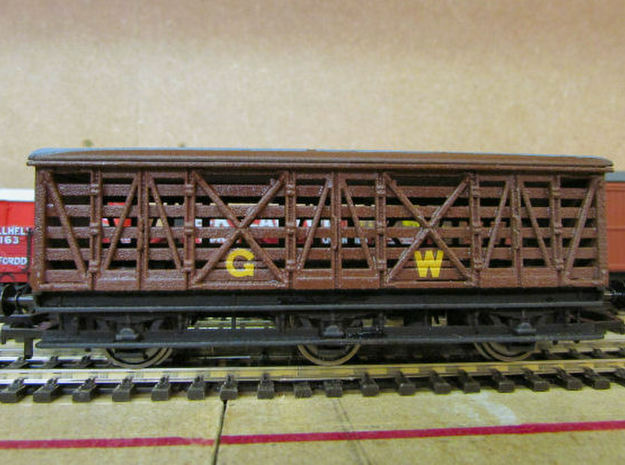 I am currently awaiting a test print for a GWR saddle tank body to fit the standard Hornby 0-6-0 chassis. As the previous version have refused to fit, the current print is a cut-away to look for issues. 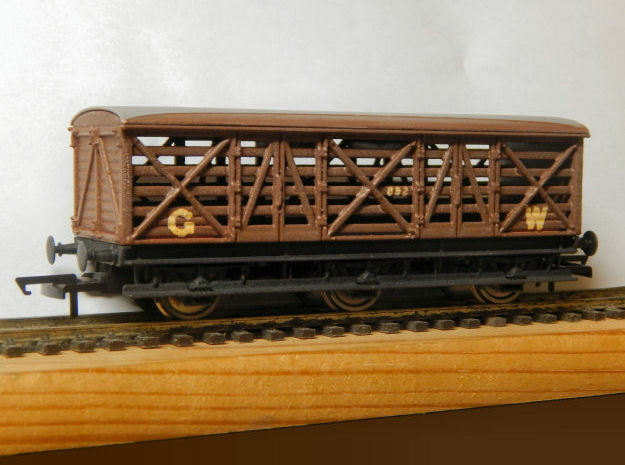 Other things I have produced are GWR American Bogies for both the Lima Siphon G and Hornby/Airfix Siphons G an H.
Below is the Hornby/Airfix fit version. Nice. What is it? That looks like a U5 tank with an S-boiler, so it's probably after around 1890 and before 1895. 1854/1701? Or a 2724 with the tank and boiler from an 1854? What as the problem with the fit? Wheel-base/wheel diameter? 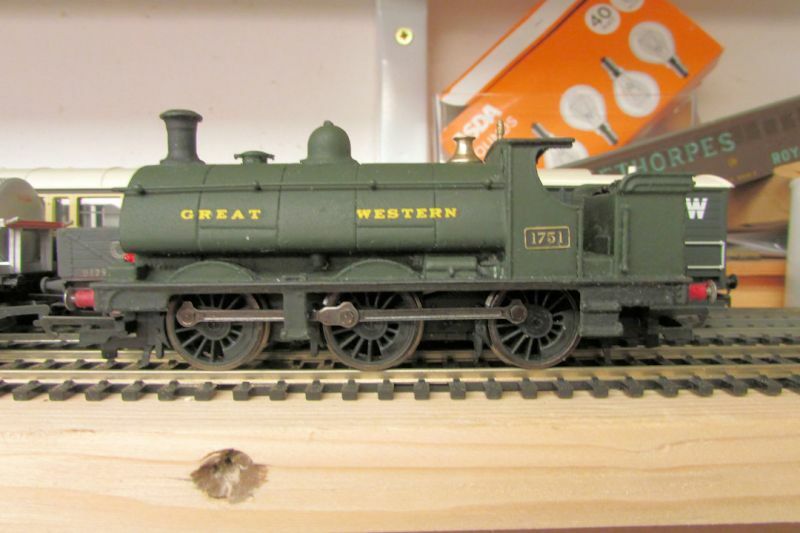 As far as I know Hornby 0-6-0 chassis designs often are not close to the original.Most GWR ones seem based on the Class 5700. The saddle tank is loosely based in a 2721. 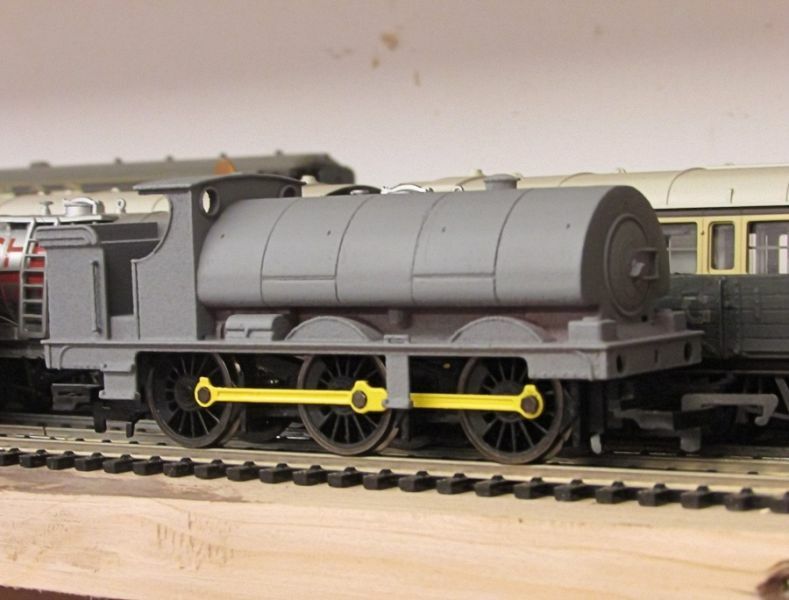 I've already got a few of the Hornby Pannier versions and wanted something a bit different for a spare chassis. 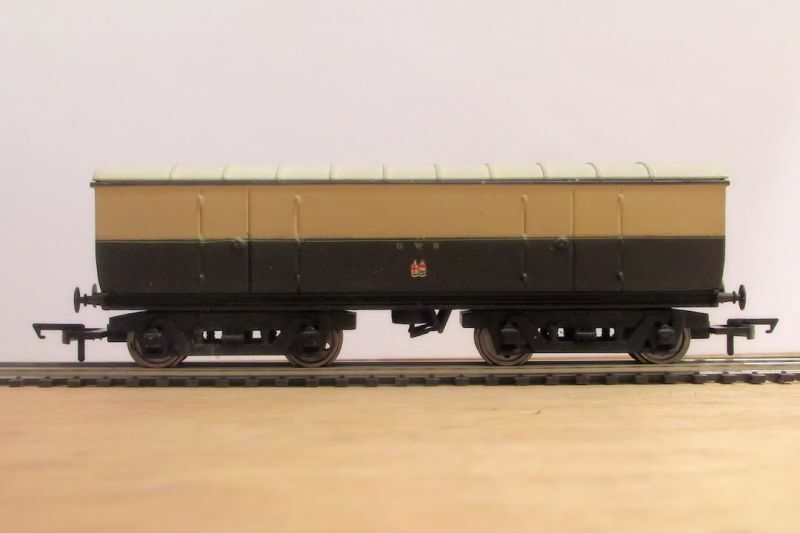 My M17 Bullion Van (on temporary bogies). The new ones currently on order will hopefull make it sit lower. Great use of a cut away to test the fit! Bullion van eh? Google here I come! Hi, Many thanks for the comment. 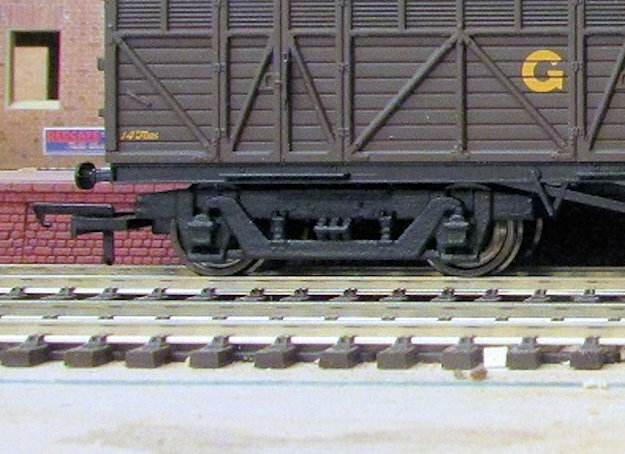 One slightly embarrassing admission is that I thought I was making a 2721 saddle tank until I realised the photo I was using to locate the boiler fittings was of a 1701! but there is very little to tell the types apart. However the project continues with a complete body and have just ordered plates for 1751 from Modelmaster. That is a very nice looking model (and a good choice of number). The photo I have of a "1701" (more commonly known as a "1824") shows the dome on the second ring from the front. The history of #1751 is well documented. According to the RCTS number 1751 as built in 1892-1893 had a front dome (U5 and S2). The dome, filler and safety valve where you have them would be a U5 with S4 back dome boiler (1908). #1751 was fitted with ATC in the 1930's although by this date it had a B4 boiler and pannier tanks as well (both fitted in 1932). #1751 never had auto-fittings or super-heating, and was withdrawn in 1945. As built the model is good for 1908-1932. 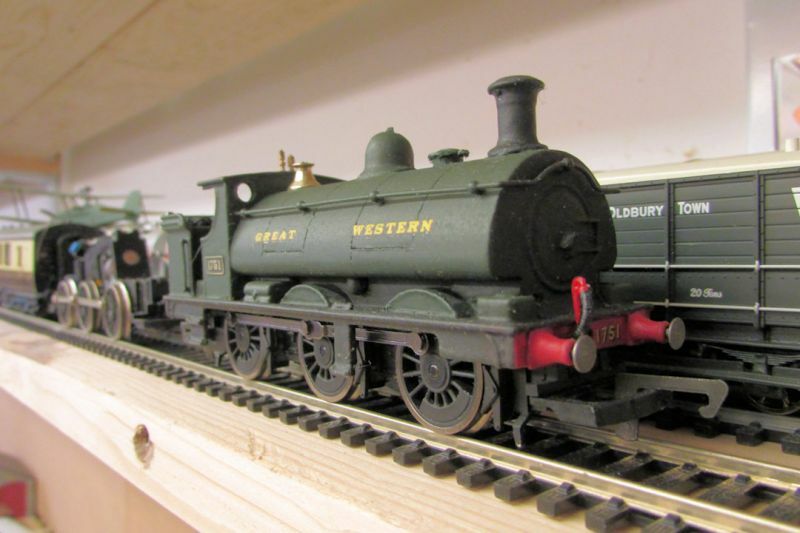 What do those Hornby wheels scale out to? They look a bit big for 4'6"
Phew! Thanks Nigel, I couldn't find plates for the locos I had photos of so took a chance with the number on the basis that I read that it was a late conversion to a pannier compared to some. The 1908-1932 time frame is perfect and exactly right as I had a gap in my stock for a pannier/saddle tank circa WW1/early 1920s. 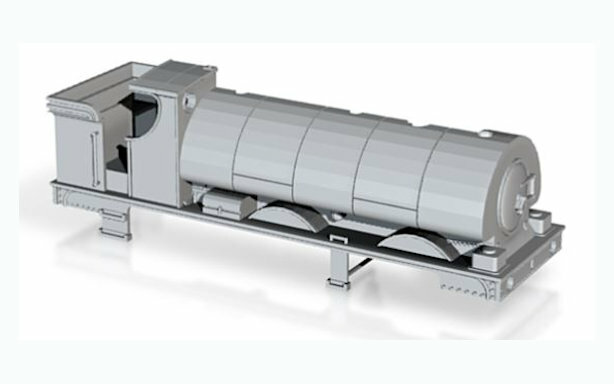 My only worry now is the bunker/boiler combination. Now we're really getting into murky waters. The 1854 class were Swindon built. By the looks of things you have a Wolverhampton type 31, used by Swindon from 1889 with the addition of coal rails (type 32). Enclosing fenders were added due to coal falling out (type 33). The rails were then removed and beading stiffening looking like rails added. Two rails/beading dates the model to 1906 or before. From 1906 the lower beading was removed (type 34), and in 1924 the top beading went (type 35). So you have a type 33 with beading. Getting rid of the lower beading would give you a wider date range of 1906-1924. Or put this one down to lurking on a branch line and conveniently forgotten by Swindon for a few years. This apparently happened quite often. I assume the above is in response to Stephen? Oops. Yes, apologies all round. Thanks for the info about the bunker. I may resort po paring away the second beading but as I have had difficulty getting a reasonable paint finish I'll probably put that off until I find a photo of 1751. Knowing my luck with such things I'd just have got it done only to find it retained it's beading! My next project will be a body of the ex-Bristol and Exeter 1376 in later life. In the meantime I've developed a spark arrestor cap for the Bachmann 57XX and an awaiting the print from Shapeways. 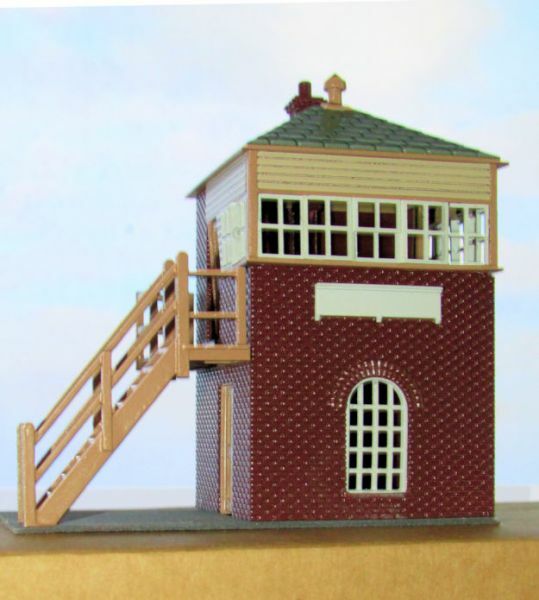 My latest 3d print based on Chirk Station Signal cabin. Brickwork and roof printed in WSF while woodwork and other fittings printed in FUD. To make painting easier the kit is broken down into parts mostly of the same colour. The next task will be to create an interior. What exactly is 3D printing please ? Since Stephen is obviously occupied elsewhere, heres my quick and not very accurate description of 3D Printing.. Most hobbyist 3D printers have a reel of plastic "wire a bit like plastic strimmer wire. This is pushed through a hot printing head, which melts the plastic. It then prints just like a normal printer, but by going over and over, you can build up layers to produce an Item in 3D. The more Money you spend the more accurate the printer.. There is another method that is more often used by proffessionals, a bath of liquid has two lasers focused on it, where they intersect, it causes the liquid to become Solid and again by scanning the lasers around you gradually build up a shape. Really interesting even if I'm none the wiser !